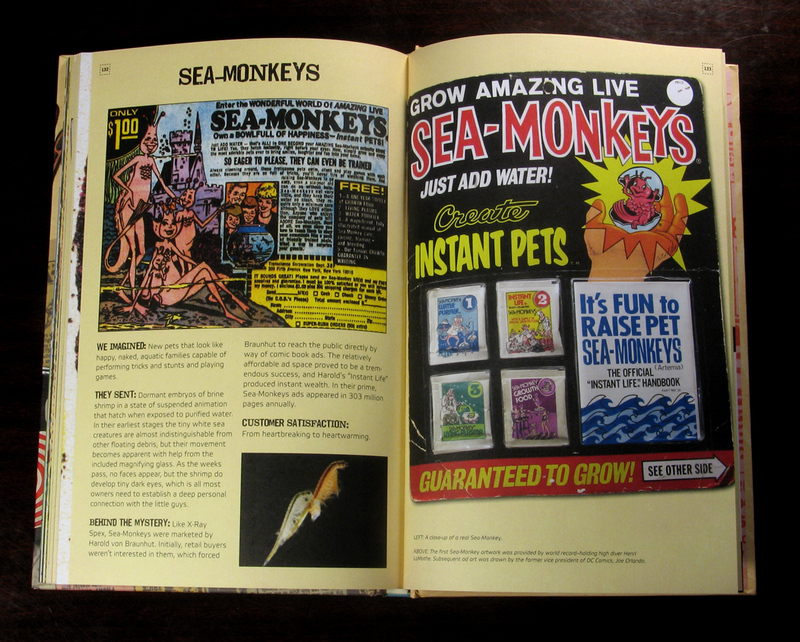 You may be inclined to think that just because we in Darling Pet Munkee sing songs about Sea-Monkeys and X-Ray Specs that we don’t know how to read! While that is true, it doesn’t mean that we can’t enjoy books that have a lot of pictures in them! 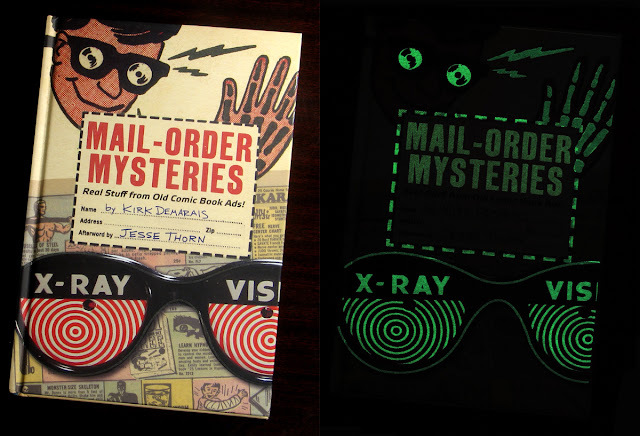 Of course, our favorite topic is items sold in comic books and Kirk Demarais’ Mail-Order Mysteries is just the right thing for us! It’s chock full of awesome images and (or so our literate friends tell us) tales of these items – outlining what a young purchaser might anticipate, what they would have actually received, and their probably reaction to the completion of the transaction. It’s pretty damn rad! We first learned about Mail-Order Mysteries via Boing Boing’s Gweek interview with Kirk (which is a great listen – MP3)! My comment on that post about DPM led to some kind Boing Boing coverage of DPM and the use of DPM songs in Gweek episodes 20 and 21. In addition, there is this really fascinating trailer showing off a number of the items. Previous PostSpace Balloons in the Boston Herald! Photos and videos beamed to Earth! …and Space Balloons visit Planet Allston!!! Next PostDNFMOMD: feature article in The Noise November issue!